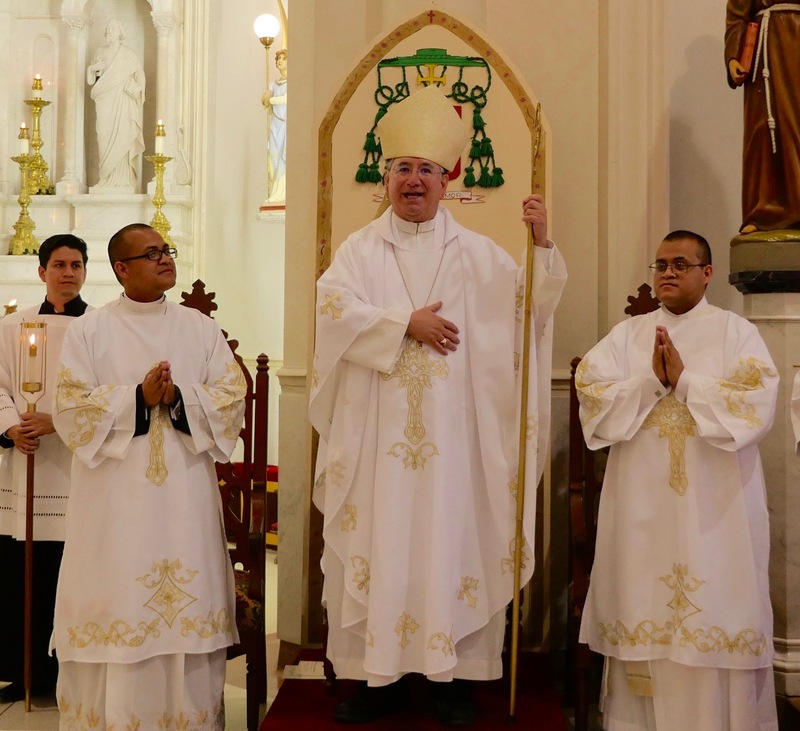 The priestly ordination of twin brothers Juan Mercado and Pedro Mercado Jr. will be something to behold! With praise and thanksgiving to Almighty God, the Diocese of Laredo joyfully invites you to attend the Ordination to the Sacred Order of the Priesthood of twin brother Deacons Juan Mercado and Pedro Mercado Jr. through the laying of hands and the invocation of the holy spirit by his excellency James A. Tamayo, first bishop of the Diocese of Laredo. Saturday April 21st at 10 am at San Agustin Cathedral – 201 San Agustin Avenue in Laredo. After the Mass, Bishop Tamayo will announce their assignments within the Diocese of Laredo. Let us celebrate the Priestly Ordination of deacons Juan Mercado and Pedro Mercado Jr. as a community! Photos below from when the two were ordained to the deaconate on June 3, 2017.